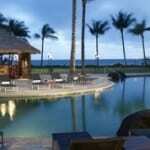 The Marriott Kauai Resort is near the Lihue airport and harbor. Good swimming beach and elegant pools. Full spa and great restaurants. Ideal for Multi Island and Island Hopping Packages. Click on the hotel name to view highlights and reviews. Beach the Whalers Cove is located on a point with ocean front units that are at the edge of the vast Pacific Ocean. Waipouli Beach by Outrigger ***! The St. Regis Princeville on the North Shore. The beach is facing Hanalei Bay and the rain forest mountains to the east. 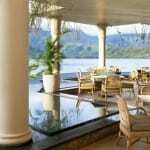 The only luxury resort on the North Shore, the St. Regis Princeville is a Starwood property. Unique architecture and scenery create at destination that is very different from the rest of the Hawaiian Islands. The resort is within the Na Pali Rain Forest with mist and rainbows guaranteed. An elegant destination resort with golf onsite. 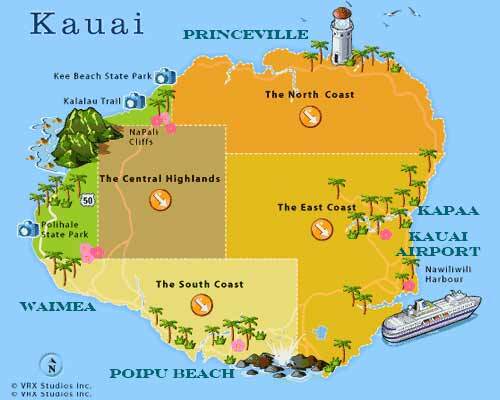 Kauai is called the Garden Island. The rain forest and jungles are accessible by car or guided tours. 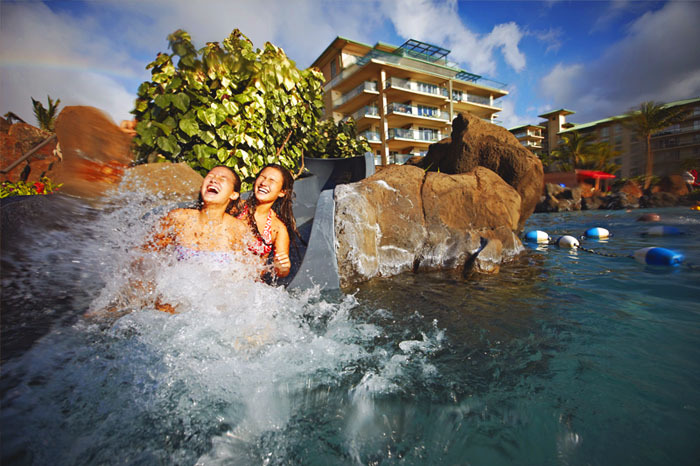 The most popular Kauai resorts are on Poipu Beach. The Sheraton and Hyatt are on beaches that are great for swimming and snorkeling. Vacation rental condos with larger units and resort amenities. 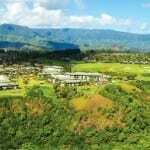 The North Shore is Princeville. The climate is cool and misty. The beach is at the bottom of a cliff. The St. Regis Resort has an elevator to the beach. There are paths for walking down also. 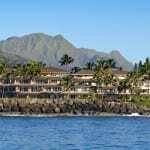 The East Shore accommodations are in Kapaa, Lihue and Wailua. The climate varies with the seasons. The ocean conditions can be too rough for swimming. Public beaches on the east shore are the safest. 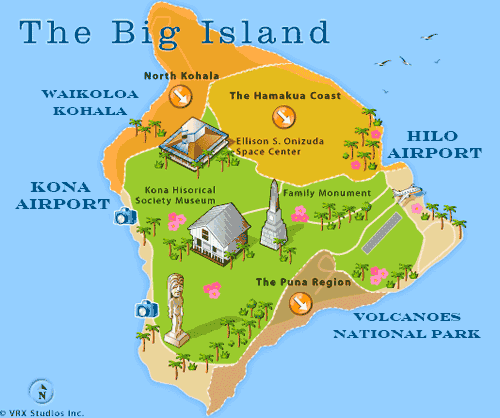 Each district on Kauai offers the visitor an experience that is different from the neighbor islands. Book a package to Kauai. Call us at 808-330-6865 Hawaii time zone. Complete this short request and we will start working on your package right away.